If you’ve participated in the toning shoe movement then it’s time you cashed in and got your money back! Consumers who purchased Skechers Shape Ups and other Sketchers toning shoes, are entitled to money from a $40 million settlement that the company made with the Federal Trade Commission. The Skechers lawsuit applies to 42 states and was passed on Wednesday (5/ 16/ 2012). “Skechers put its foot in its mouth by making unwarranted claims,” said David Vladeck, director of the FTC Bureau of Consumer Protection. Ads for Shape-Ups claimed that the sneakers with the rounded bottom toned muscles, improved posture, and encouraged weight loss., while reducing stress on knees and ankles (source). 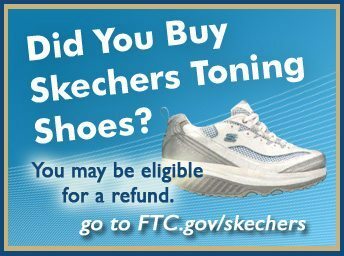 Besides Shape-ups, Skechers also made deceptive claims about its Resistance Runner, Toners, and Tone-ups shoes, the FTC alleged. Consumers who bought these “toning” shoes will be eligible for refunds either directly from the FTC or through a court-approved class action lawsuit, and can submit a claim here. Why Did Skechers Lose The Lawsuit ? Unsupported claims on weight loss, muscle toning, strengthening using these shoes verses regular gym shoes. Shape ups used an endorsement from a chiropractor named Dr. Steven Gautreau, who did an independent study which was used as part of the advertisements. However, the FTC says that the study’s claims were not verified. To add to the drama, Dr. Gautreau is married to a Skechers marketing executive! Celebrity Endorsement worked against the company. Kim Kardashian is seen ditching her trainer for a pair of Shape Ups. Brooke Burke told consumers that newest way to burn calories, tone and add muscle was to tie their new Shape Ups shoe laces. KA-WHaT! This could be a ripple affect. While sketchers dominated the market in 2010 with sales of over $1 billion, there were other brands that attempted to cash in on this toning shoe movement. Brands such as Reebok and New Balance could be next if they made similar mistakes. 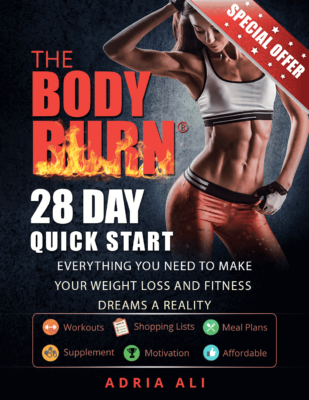 If you know someone shelled out money for Skechers Shape Ups or other Skechers toning shoes, forward this fitness tip with the links below. You can also chose to print it out and post it at work!